Store cremation ashes close to your heart with the Dove Cremation Jewelry Pendant. Designed to hold a small portion of ashes but can also be used to store locks of hair, dried ceremonial ashes, or burial soil. 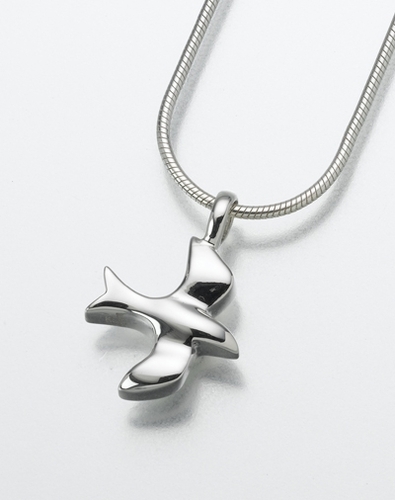 This highly polished dove, the symbol of eternal peace and love, makes a beautiful and enduring keepsake pendant. Ships directly from manufacturer. Signature required on delivery.